Your fellow (disoriented) goats have been stranded on the moon, hurry to save them! Hint: If you are eager to win then you will lose, but if you're patient at the beginning then you have a chance to win! Created By: Brady Irvine, Hao Jiang, Terry Castonguay, Jeremy Carrigan, Christian Ly, Gabriel Vignola, Alexander Borondy, Adam Bouchard. 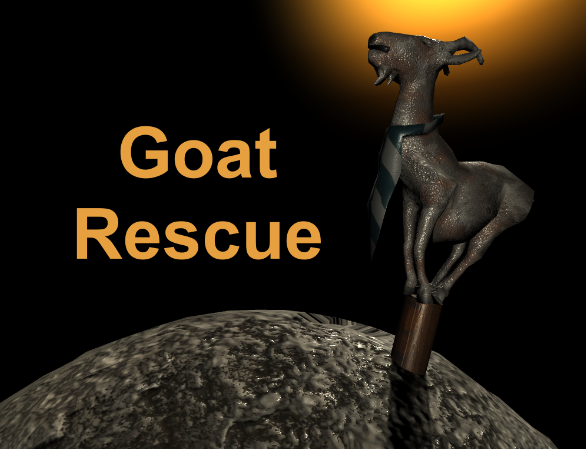 download the zip, extract the files, run the GoatRescue.exe! Thanks for playing! xD It sounds like you managed to save all the goats! You sneaky designers xD I like that! Props to you guys!